1. What Is Expository Apologetics? Voddie Baucham’s book is both scriptural and fresh, aware of biblical principles, cultural trends, and human nature. I especially appreciate his expository approach, by which he brings God’s Word into every apologetic conversation. I recommend it as an excellent introduction to apologetics as it needs to be practiced today. I am a fan of any book that takes apologetics out of the tower and puts it in the pew. Baucham does a wonderful job of just that. His pastoral style and sensitivity stand out as he takes a method of apologetics straight from the Scriptures and lays out how everyone can defend the faith with confidence. 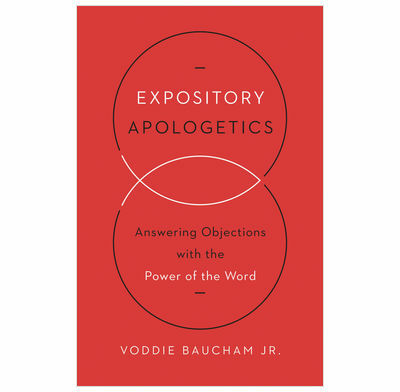 Voddie Baucham’s expository approach to apologetics reminds us of the power of God’s Word for responding to objections to the Christian faith. This book hits all the right notes and guides the reader to think biblically, confessionally and theologically when engaging with those who reject Christianity. Baucham’s book will encourage the church to engage unbelief from the perspective of Scripture, rather than from a lesser perspective.